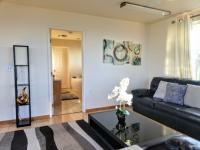 Our Laie luxury rentals provide the perfect setting for an idyllic Hawaii vacation with close access to great beaches and attractions in one of Oahu's most desired vacation destinations. 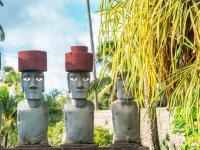 The Polynesian Cultural Center in Laie is an open-air park and museum celebrating the many different Polynesian cultures, with ongoing activities and demonstrations at each "village." Join in a hula dance and create traditional crafts and art. There's even a canoe ride! A fully-costumed dance show takes place on swimming platforms in the lagoon every afternoon at the Polynesian Cultural Center, and every evening there is a sumptuous Hawaiian luau buffet and elaborate dinner show. A Coral Reef Adventure film shows throughout the day at the park's 600-seat, IMAX Theater with it's giant screen (93x65 feet). From Laie you can explore the many great Oahu beaches of the windward shore include the white-powdery sands of Lanikai and the watersports mecca of Kaneohe Bay which is a great place for kayaking. You can also drive up to the north shore to see the famed surfing beaches including the Banzai Pipeline, Sunset Beach and Waimea Bay. 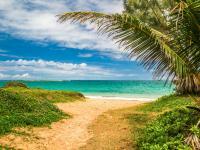 The small town of Laie has a modest shopping area including a supermarket and few restaurants. The Hukilau Cafe serves up nice breakfast omelets and their roast pork is a popular lunch item. The Hawaiian plate is perfect to take to the beach. If you're really hungry you will enjoy the generous portions in the "loco moco." For ample servings of Chinese food try Laie Chop Suey (near Foodland) which is quite popular with the locals due not only to the tasty food but also the fast service and reasonable prices. L&L Drive In is known for its local style plate lunches (great for the beach) with sumptuous Kalua pork and double scoop of mac salad!